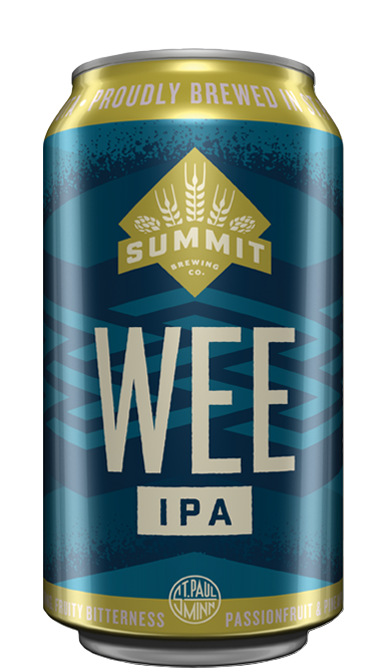 Brewed with an incredible, complex malt bill including smoked oat malt and puffed wild rice, plus a light dash of maple syrup, Summit Cranky Woodsman celebrates the bounty of the wild north with ingredients both classic and modern. A Nut Brown Ale featuring rich, roasted flavors and aromas, Cranky Woodsman is suitable for long evenings by the campfire — or any time you’re feeling ornery. Wonderfully complex and drinkable, this ale will satisfy even the most cantankerous of woodsmen! Available for a limited time on draft and in the Bonfire Box variety pack, beginning August 2018. Find it here. 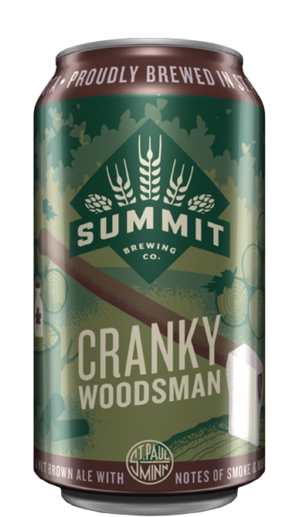 Featuring unique ingredients such as Minnesota wild rice and maple syrup, Summit Cranky Woodsman celebrates the flavorful and aromatic terroir of the Upper Midwest. Lacey barley from Alexandria, MN provides the foundation for a rich mahogany-colored beer with notes of toast, graham cracker and smoke, while Cascade hops from Mighty Axe Farms offer a hint of spice and citrus to complement a slight maple-syrup sweetness. Serve at 40ºF in a nonic pint glass alongside walleye fritters, a juicy lucy with thick-cut fries, or a big steaming-hot bowl of chicken wild rice soup.